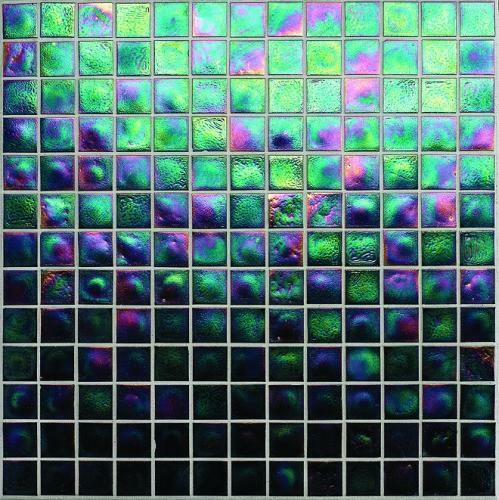 The Muse range of glass mosaics is produced with a smooth, clean edge. The sheets are availabile in single colours and a range of blends and patterns in chip size 22x22mm, 22x35mm and 35x35mm. Trim pieces are available for a clean finish. The handcrafted nature and extensive range of transluscent and iridescent colours is the hallmark of Oceanside Glasstile. They are an ideal choice for helping people create beautiful and comfortable living spaces and suitable for a vast array of commercial applications. Oceanside Glasstile was founded on their vision of elegant, high quality glass tiles made using recycled bottle glass. Today they recycle over 1 million kilograms of post consumer bottle glass annually in the manufacturing process. Glass tile is a very strong building material that is impervious to water and freeze/thaw resistant and this long lasting durability adds to its sustainability. Visit our gallery for more great ideas using Oceanside Glasstile mosaics and field tiles. Visit the Oceanside Glasstile website to view the full range of colours, patterns and styles available then call us with your request.